Gav McDonald ….. would rather be descending a mountain pass amidst spectacular scenery. Gav has been bike crazy since his early childhood and is passionate about all aspects of cycling. 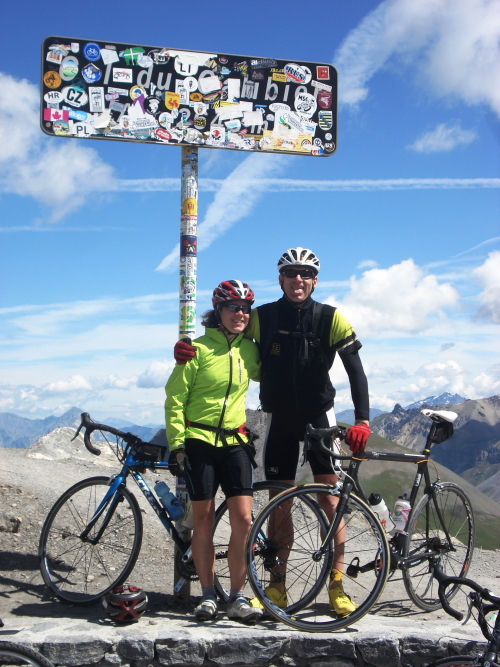 A qualified, professional bike guide he has led adventure biking trips all over the globe, cycle toured extensively on five continents, has won four Scottish National Cycling Championships and rode around the world in 2005/06. An experienced commercial bike mechanic, he still competes in Master’s Races although, by now, he really should know better. Gav’s favourite bike is “any one with two wheels”. 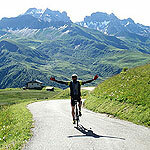 Rather Be Cycling reflects Gav’s enthusiasm for all things related to bikes, cycling and adventure travel. Cheryl Frost ….. (aka Chez) would rather be on her pink Yeti, nailing some swoopy singletrack, kicking up dust whilst under a hot sun. When she’s not on one of her bikes you can be sure Chez will be on a mission somewhere whether it’s swimming in the lake, fell running, adventure racing or just taking the dog for a walk. 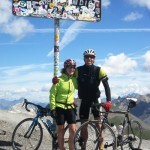 Chez has 12 years of experience leading treks and cycle trips worldwide. She has cycled across Bhutan, Tibet, Nepal, New Zealand, the Pyrenees and the Alps. In between overseas trips Chez has worked on and managed many events including project managing the first 3 years of the Keswick Mountain Festival, the Commonwealth Fell Running Championships, Base Camp Manager and more on the inaugural Deloitte Ride Across Britain event in 2010 and again in 2011. She managed the Jennings Rivers Ride and Matt Baker’s Rickshaw Challenge for Children in Need in 2011 and was the race planner for the the adidas TERREX Coast to Coast Adventure Race. Angus McFrost ….. would always rather be out with the bikes … or eating … or sleeping. 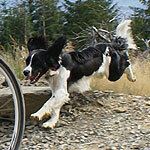 Angus, our Springer Spaniel and Rather Be Cycling mascot, is bike mad as well and he loves a canter round the fells and trails of the Lake District with us. He’s also rather keen on sticks, logs, stones, puddles, rivers, lakes, mud, snow, ice and will eat anything that’s edible and lots more that isn’t.